Thanks to our Guest Blogger Richard Kelly (Volunteer at the Cole Museum of Zoology and student on our Curatorship and Collections Management Module) talking about his experience at Museums Association’s ‘Moving on Up’ career development conference earlier this term. The Museum Association’s conference for the young, up and coming professionals of the heritage sector was held at the Museum of Science and Industry (MOSI) in Manchester. It was primarily meant as a networking event where professionals in the first five years of their career could mingle with each other as well as some more experienced professionals. The feeling of the day was extremely positive and everyone seemed to be having lots of fun with the various activities and talks that were held. Towards the end of the day it was obvious that everyone was in high spirits and that even the more experienced amongst us had learnt a lot. The closing speech by David Anderson, the president of the Museums Association heralded the day as a massive success and stated that he would be going back to the National Museum of Wales which he directs and will be seeing what changes he can make after the revelations of the day. The day began with a key notes speech on leadership by Richard Wilson, an empowering talk where young professionals were encouraged to be the ‘anti-hero’ and to take control of their lives and their careers. Three provocations on the essence of a radical workforce were particularly inspiring and looked forward to the next generation asking them to make the changes necessary to keep the heritage sector relevant in the modern world. The Ministry of Curiosity was also in attendance and gave a talk on how they had set up an independent museums blog for London (@curiositytweet). 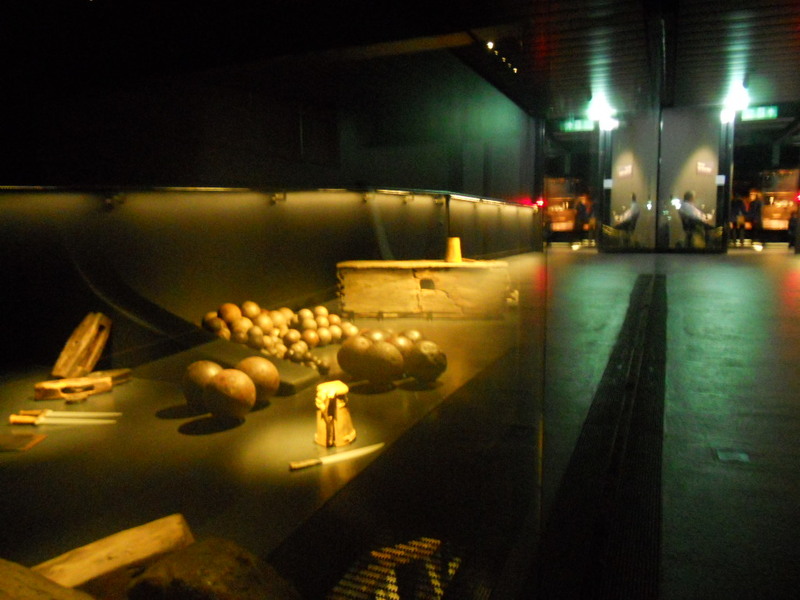 The blog discusses behind the scenes gossip of the museum circuit in London and tells its readers interesting titbits that might not usually be heard. They are careful to mention that they have a strict code of ethics when it comes to posts and will not post anything that puts the security or safety of museum workers or collections in danger. Workshops included discussions on how to make a career in the heritage sector including specific hurdles that must be addressed. Also a discussion on how to plan for the future by making a career timeline was led by Tamsin Russel from National Museums Scotland. One of the most useful workshops looked at how to prepare the perfect pitch. Hillary McGowan a professional advisor to the heritage sector explained her method for making a professional pitch with the premise of meeting someone you want to give you a job in the lift and having 30 seconds to get yourself across to them. Others speakers were Tom Andrews from People’s United who spoke about the importance of being kind in the professional world and how to temper dreams with reality to make sure you get the most out of your career. Liz Hide from University Museums Cambridge spoke about leading when you’re not in charge and discussions followed on how to lead and how you would like to be led. One of the big issues that came up during question time was the importance of qualifications in the heritage sector and whether those without them would hit a ‘glass ceiling’. The debate got rather heated with supporters on both sides of the argument. Personally I can see the benefit of qualifications and agree that some positions probably will require specialist qualifications, especially in the science heritage sector and research positions. That is not to disregard the benefits of staff with a wide range of non-academic skills but employers should also be careful not to disregard the hard work put into getting qualifications. There were several comments from senior professionals regarding the privileged upbringing that must accompany higher qualifications. Personally I find this quite insulting, having grown up in a small town in Lancashire and having to work for everything I’ve achieved to this day the notion that employers could see my efforts as merely a sign of privilege is worrying to say the least. All in all the experience was truly amazing and the things I learnt about the heritage sector and about taking control of my career will definitely come in handy in the years to come. As will the connections I made with the many cool and friendly people I met. The next big event for the Museums Association is the annual conference held this year in Cardiff in October. I am looking forward to attending and hopefully seeing some of my new friends again. Just a quick post to flag up an event. 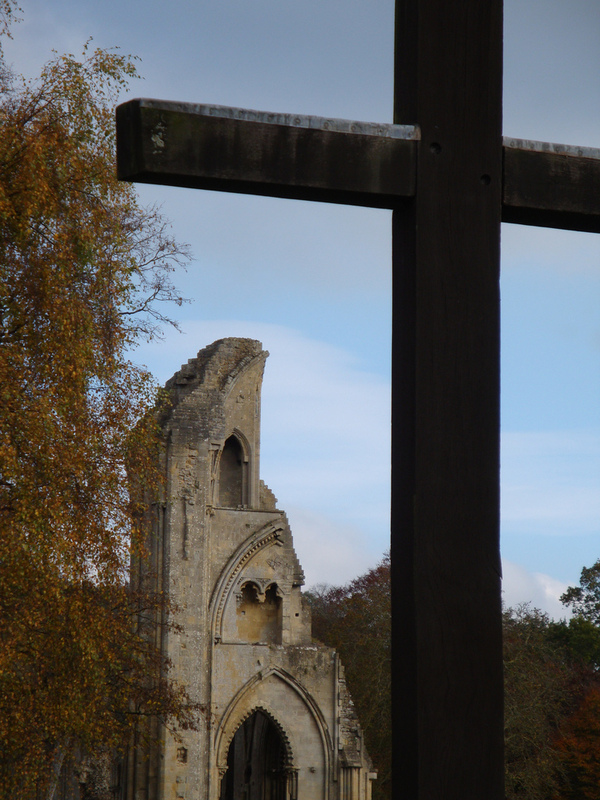 On Monday 3rd February we are running an outreach event for schools as a collaboration between Glastonbury Abbey and the University of Reading. It runs 10:00-13:00 and pre-booking is essential. It’s mainly aimed at A-level students but we’re happy to hear from enthusiastic GCSE or Foundation level classes. I’ve been e-mailing teachers throughout the region but messages don’t always get through so please spread the word. Eminent archaeologist Professor Roberta Gilchrist will be talking about archaeological practice, medieval archaeology and brand new findings from the Glastonbury Abbey Excavation Archive Project. There will also be workshops, careers advice and tours of the Abbey. 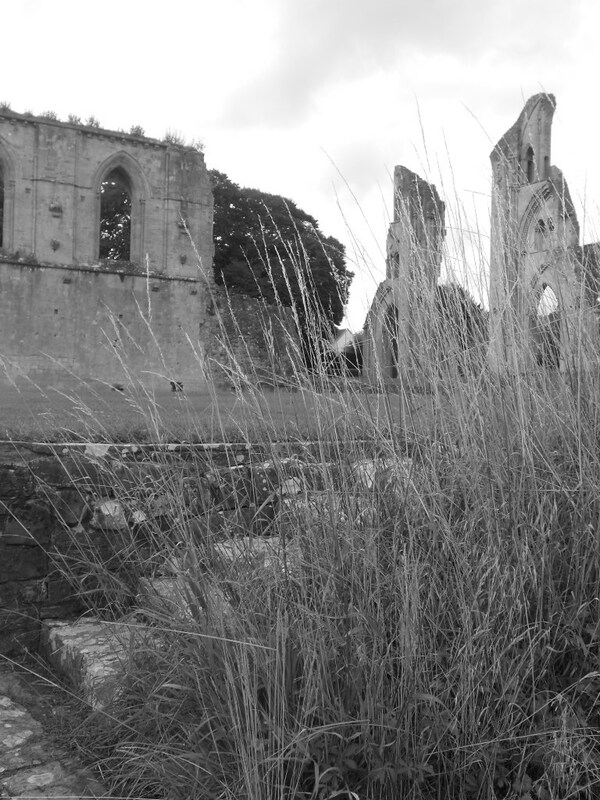 I’m going to be there talking about the challenges of caring for and interpreting monastic heritage sites. Send me an e-mail at r.smith@reading.ac.uk if you want to get the full details or make a booking. 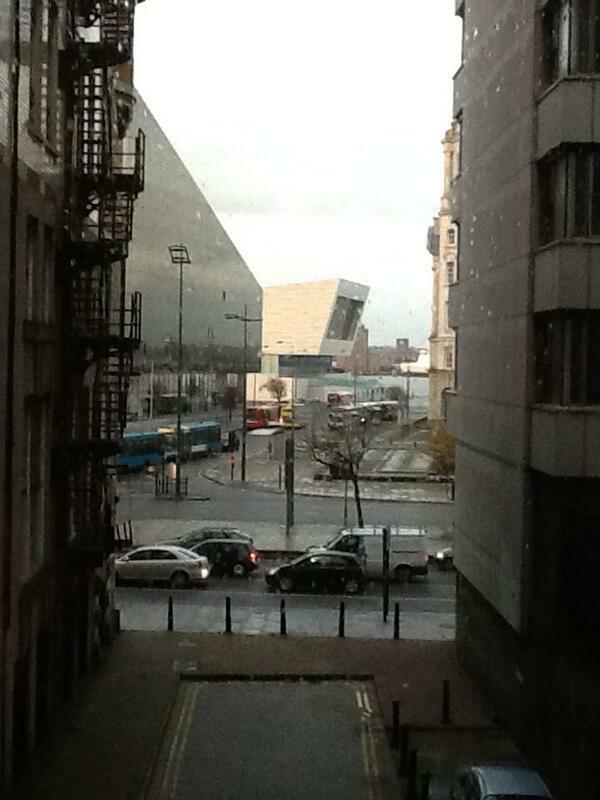 This post is a little delayed (partially by going to Liverpool for the Museums Association Conference 2013). 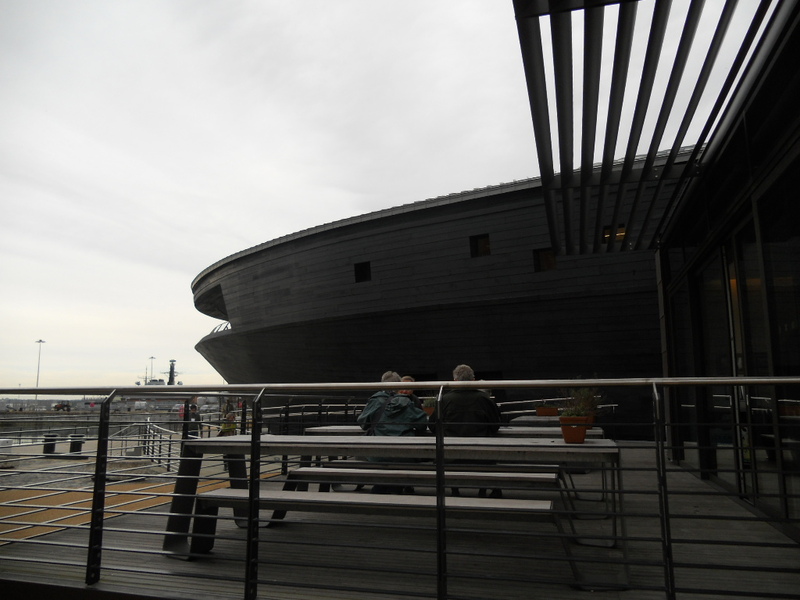 The week before my sojourn to Liverpool I was at a conference in Portsmouth hosted in the fabulous new Mary Rose Museum. The Society for Museum Archaeology promotes the interest of archaeology in museums across the UK and their annual conference is a great way to debate current issues and learn about new projects. This year’s theme was ‘What’s the Big Picture?’ with experts from around the UK talking about big projects and big ideas. 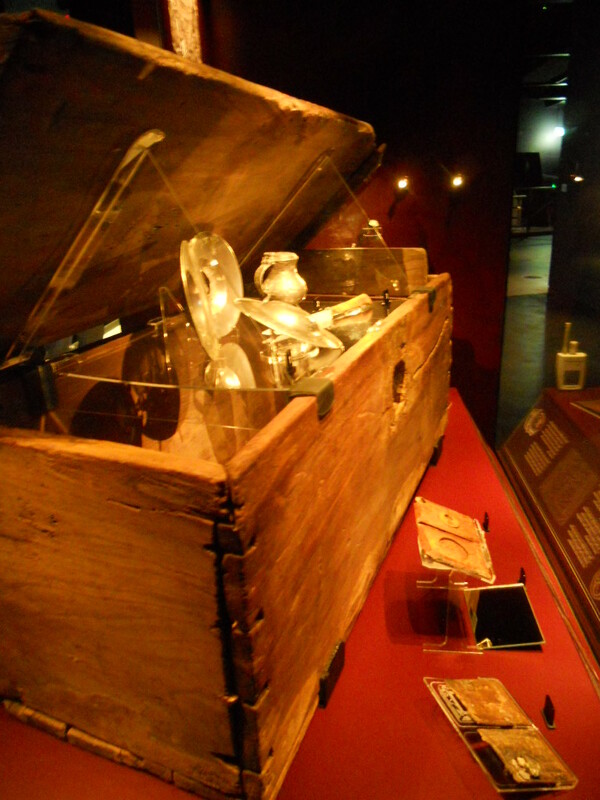 The day started with an introduction to the Mary Rose Museum and tours from the curators. It is a truly amazing piece of interpretation and it will get its own blog post review in the near future. 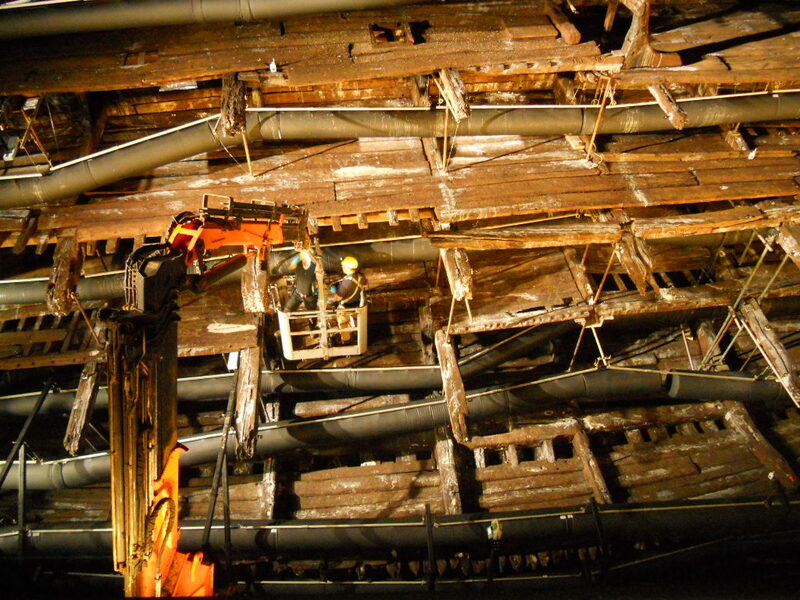 The boat theme continued with talks on the Newport Medieval Ship from Toby Jones and Ian Panter discussing his work conserving eight (!) log boats for York Archaeological Trust. Following this the keynote came from Simon Thurley (head of English Heritage) and provoked a lively debate which continued on into the conference meal. The second day of the conference kicked off with an introduction to the Creswell Crags collecting project and then to Brian Graham’s artwork. The picture element of the conference title was continued in Mark Hall’s discussion of interviews with artists who use archaeological sites and objects as inspiration. We also heard about the Pompeii and Herculaneum exhibition at the British Museum from Senior Curator Paul Roberts. The most shocking event of the conference came next when “somebody” took his shirt off… it’s OK he was showing off the art and archaeology inspired t-shirt underneath and waxing lyrical about art in archaeological museums. The conference then moved into the slightly more serious annual ‘State of the Nation’ session in which we got updates from Scotland, Wales, Arts Council England and The Council for British Archaeology. I’m personally looking forward to seeing the redevelopment at St Fagan’s National History Museum, Wales my childhood museum. Following that David Dawson talked about the Wessex Museums Partnership and strategies for making local authorities plan for archaeological archiving. That reminds me that I should flag up the recent opening of their new prehistory galleries. Another one for the planner followed that talk: the still pretty new Experience Barnsley complete with recently repatriated archaeological collections from regional museums. The conference ended with the AGM in which we bade farewell to some extremely hardworking committee members. Eagle eyed readers will also have noted that the name has changed from the Society of Museum Archaeologists to the Society for Museum Archaeology and this reflects a redrafting of the constitution. Finally, I should probably announce that I am the new Training Officer. If my account of the conference has sparked off any ideas please get in touch! For those who aren’t in the know, the Museums Association conference is the big event of the year for museum bods in the UK. This year it was in Liverpool which also gave us the chance to look around some world class museums. I am only one woman so I couldn’t make every session. I am also unable to get into all of the individual debates here (that’s why I have lectures!) 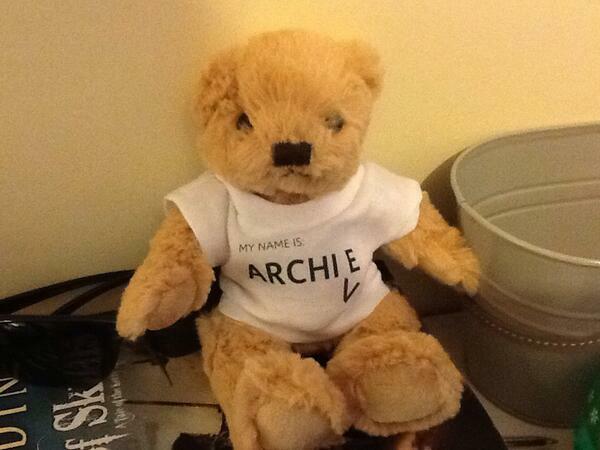 so what follows are some of my highlights with links which you can follow up at your leisure. On the first day I got up early to attend a breakfast tour of the recently opened Museum of Liverpool. The Museum was opened earlier this year by a 6 year old boy who wrote in and asked nicely. This story demonstrates the commitment of the museum to the people of Liverpool. The displays balance celebration of people and place with more serious discussions of controversial historical and contemporary issues. After a quick run to across the docks to the conference centre we were welcomed by a moving keynote from Ricardo Brodsky, Museum of Memory and Human Rights, Santiago, Chile. The keynotes are always interesting and sometimes controversial. Helen Goodman (shadow culture minister) was pro-museum but talked more about export bans and gifts in lieu than funding the care of existing collections. The Plenary Debate: Crisis? What crisis? between David Fleming (Director, National Museums Liverpool) and Peter Bazalgette (Chair, Arts Council England) dealt with the impact of funding cuts. The Rebalancing our Culture Capital Report was mentioned by several speakers (including new President of the Museums Association David Anderson) and some tweets behind Sir Peter Bazalgette in the plenary debate illustrated the frustration felt by many in the audience. 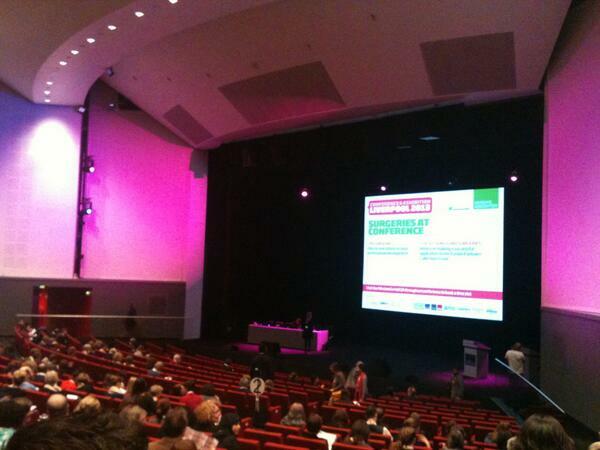 Have a look at the hashtag #museums2013 on twitter to follow the debates. The Museums Association also has summaries up on their website. It should be noted that when choosing activities I engaged in some obvious nepotism by attending sessions run by my colleagues e.g. ‘Overcoming your fears of managing volunteers’ and the University Museums Group session which launched a new report. Other than that I found the ‘Emotional Museum’ strand particularly thought provoking and it included my star session, a workshop on LGBT activism in museums. On a related note the Social Justice Alliance for Museums launched on the first day and the three conference themes The Therapeutic Museum, Tomorrow’s World and The Emotional Museum all referred to the bigger question of who and what museums should be for. On a lighter note I had great fun mooching around the exhibition area, quizzing people about digital developments and picking up free pens (and teddy bears). 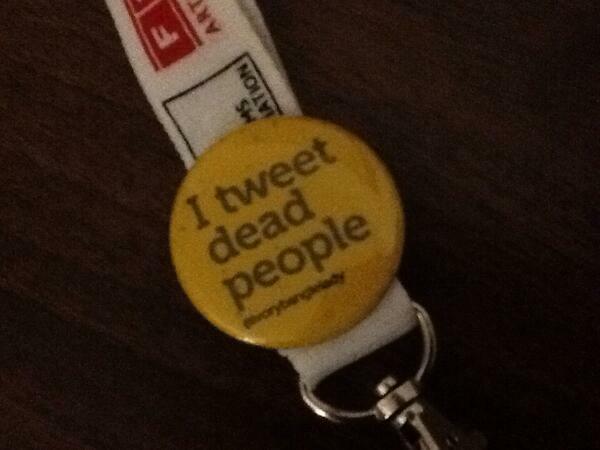 However, there were also a number of sessions somewhere in the middle, giving concrete examples of how high concept ideas can be put into practice.The ‘I Tweet Dead People’ session from York Museum and Imagemakers was a great example of the kind of innovation which can marry new technology together with engaging interpretation. This is what the conference is really about for me, learning new things, meeting new people and developing new ways of moving forward together. It looks like I’m going to be posting most of these cards from the UK due to my full on schedule. However, that will give me the opportunity to add some cool photos from the places in question. This one is coming from JFK airport wi-fi willing. The next stop was Carlisle, Pennsylvania which we reached through some stunning countryside. It’s a lovely college town with lots of great eateries. The college focus on sustainability is really impressive. They have a farm which is powered by student labour and is self sustaining due to the patronage of local food lovers and the hard work of the team who run the programme. They also ‘green’ the curriculum (most colleges just green their operations) by identifying and encouraging the development of sustainability teaching and tracking the students who engage with these courses. see the African objects in the store and had a browse through some catalogues for past exhibitions. The work the students produce is up of professional quality and it was an object lesson (pardon the pun) in trusting students with bigger projects. We got to have lunch with the student archive interns and they got us thinking about how we engage students with our special collections. The Goodyear Gallery was another example of a student focused space in which individuals had studio space to develop their own artwork. Obviously smaller staff to student ratios help a lot when creating a rich student experience, but that’s no reason to be defeatist. I am heading back to the UK thinking about how we can adapt some of these ideas to work in our specific HE environment. 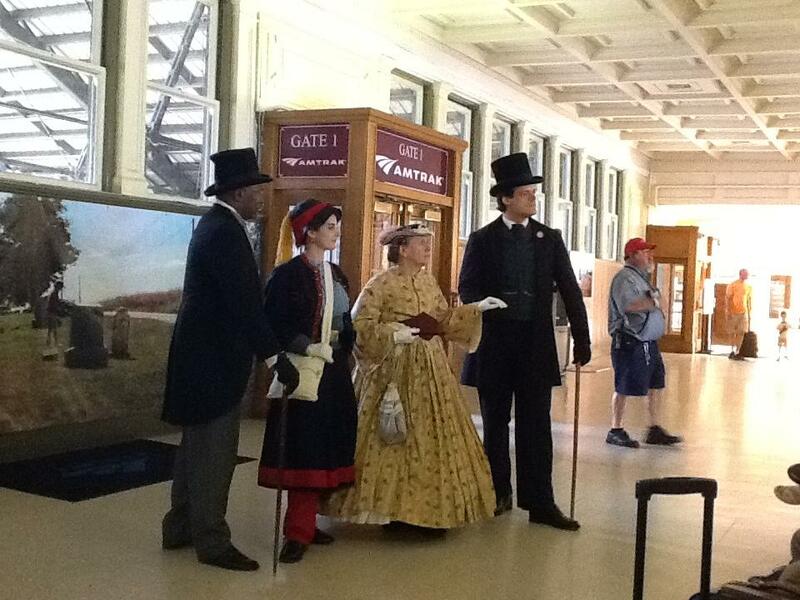 In case you are wondering about the photo, that’s what met me when I boarded the train at Harrisburg …is this standard at American train stations?